Acroporid corals in the Indo-Pacific. Image by NOAA. It has been with much disappointment that I read the article, “U.S. Considers Endangered Species Protection for 82 Stony Coral Species” recently published in CORAL and the numerous internet discussions it has spawned. What could have been an informative article on the Endangered Species Act was hijacked by Marshall Meyers to promote the knee-jerk reaction that this action must be stopped at all costs, which has become all too predictable from the hobby. The assertion made in the article that, “should this petition be approved, it could pave the way to a wholesale listing of all or most stony corals and coral reef fishes under the Endangered Species Act,” and a similar statement by Meyers that this would end the coral trade are completely baseless. In addition to the failure to provide perspective on the ESA listing process and how it affects the hobby, inclusion of such claims, almost comically divorced from reality, have only served to inject anger into and to confuse rather than to foster informed discussion. While I was initially inclined to simply shrug off this article as a sloppily written editorial, it has gone viral across hobby message boards and incited widespread outrage amongst hobbyists about what they believe to be an imminent and unjustifiable government shutdown of the hobby. For many reasons clear to anyone with a working knowledge of the Endangered Species Act, any regulation spurred by this action will not be imminent and will likely have little if any direct effect on the aquarium trade. In order for a species to be listed as an endangered species, the first of many steps is for a party to bring a petition to the Department of Commerce. Any interested party is entitled to do so and there is no burden of proof required simply to submit a petition. The National Marine Fisheries Service (in the case of marine species) is required to determine within 90 days whether the petition includes enough information about the species to warrant a full status review and to either initiate said review or to reject the petition due to lack of information. Simply ruling that there is enough information presented to justify a status review is NOT a statement about the quality of that information or about whether Endangered Species or Threatened Species status is warranted. That ruling is to be determined later, in the status review. Thus far the petitions of the 82 coral species have only been deemed worthy of a full status review. There has been no finding for or against listing and the evidence has yet to be evaluated. They have only cleared the first, and least demanding, of many hurdles that lie between petitioning and protection. Only now will the NMFS begin the year-long task of reviewing all available data on the status and consulting at least 3 specialists for each species to determine if there is any merit to the claim that these coral are in danger of extinction. This is a very rigorous process with a high burden of proof which is largely responsible for the fact that only 68 marine species have so far been listed as Endangered Species. This burden of proof will continue to pose a challenge particularly in this petition, as almost all of the species listed have wide geographic distribution and there are reliable population data available for only a few species (according to the petition itself “recent population trends are unknown” for at least 17 of the species). Because of the lack of specific information about population trends of these corals or threats to each species’ and/or its particular habitat, for most species the CBD simply cites papers discussing general trends seen on reefs across the entire Indo-Pacific and future threats to reefs worldwide. As the comment by John Bruno indicated, this is “dodgy science.” In fact, some of the species included in the petition, such as Pocillopora danae, are among the dominant taxa and are doing well on reefs across much of their range. As a result, the required finding of a high likelihood of extinction in all or a significant portion of the range (16 U.S.C. § 1532(6)) is extremely unlikely for all but a handful of the species under review. The likelihood of all 82 species, or even half of that number, being deemed worthy of candidacy status following a full review is infinitesimally small. Even for those species which NMFS determines listing is warranted, there are still multiple steps before protection takes effect, the first of which is a 60 day comment period to voice scientific and commercial concerns with a finding. CORAL and the trade lobbying groups such as PIJAC would be best served to reserve comments until this point when actual evidence has been presented and evaluated and it is at least known which species are realistic candidates for listing. Wholesale opposition to protection of corals, many of which see no significant level of trade, without so much as considering the evidence justifying such protection does the hobby no favors in positioning itself as responsible and self-regulating. For species which NMFS rules that listing is warranted, it’s hard to justify continued exploitation for an ornamental industry in the face of evidence demonstrating an imminent threat to the species’ survival. While comment during this period is encouraged and can be grounds for rejecting a petition at this late stage, it should be limited to cases where there is actual data which was not considered and which may have altered the ruling. Simply griping about a ruling which is unfavorable to the hobby without providing data to support our position again paints us as unwilling to cooperate in responsible management. Finally, if a petition withstands a status review and public comment period, the species which warrant listing are added to an endangered species candidate list. At this point there is still no federal protection of these species. Protection only goes into effect after the species has been officially listed on the federal Endangered Species list. While on paper it’s possible to go from petition to officially listed Endangered Species in a little under a year and a half, in practice that pace is virtually unheard of. On average it takes 17 years to be moved from the candidate list following a successful review to Endangered Species status. In addition, candidate species are protected based on conservation priority. In other words, species either wait a very long time for protection to take effect or else they are already in very serious trouble. This is hardly an imminent ban on 82 corals which are currently part of a responsible trade as implied by the CORAL article and Meyers’ comments. Furthermore, any regulation that does result from this action will not result in the end of the live coral trade. Of the 82 species now up for review, 13 are endemic to the Caribbean, Hawai’i or other areas where no collection of stony corals for the aquarium industry currently takes place. An additional 16 species have 100 or fewer US import records in the CITES trade database over the entire period 2000-2009 (12 of those species have fewer than 25 records). Two others only have been recorded in imports in 2 of the past 10 years. While CITES reporting requirements and difficulty in identifying corals beyond genus mean that these are without a doubt an underestimate of actual imports for most species, these records do allow for comparison of the relative importance of congeneric species to the hobby. A simple internet search for recent sales listings also confirms that only 30-40 of these species included in the petition are widely sold in the hobby. Half or more of the corals listed in the petition would have little impact on the state of the hobby if they were banned as there is already little or no trade in these species. Similarly, the ban on propagation and interstate trade would only apply to those species actually listed as endangered species. This particular provision of the law seems to be one of the most contentious among hobbyists as some people have portrayed it as an attempt to single out and stop the hobby. In fact, unlicensed propagation and interstate transport of Endangered Species is and has been a standard provision of the ESA and applies to all Endangered Species. The purpose of such a ban is to ensure that law enforcement officials have a paper trail to verify that a specimen was not wild-caught and smuggled into the country. Without such a ban, after a specimen entered the country there would be no way to determine its origin- whether it was legally propagated stateside, or smuggled in violation of the ESA. Furthermore, this portion of the law has historically been used against large black-market breeders and those already accused of other ESA violations. While under the letter of the law, independent hobbyists knowingly propagation or transporting a few fragments of endangered corals between states could be prosecuted, this has not been the spirit of the law as practiced. Surely though, this regulation would dramatically change the inspection and permitting process for importing coral, right? Not likely. Currently, all stony corals (which includes all 82 petition species) are listed under CITES, which is implemented in the US through the ESA. From a legal perspective, all stony corals are already listed as Endangered Species, but can still be imported with the proper permits. As far as import, listing on the US Endangered Species list effectively just makes it impossible to get the proper permits to continue to import these species to the US. The same inspectors will still be processing shipments in the same way. The same corals may even still be imported, just not listed as one of the endangered species. Many importers and exporters have been circumventing a lack of CITES permits for years by simply intentionally or unintentionally misidentifying corals on bills of lading. The fact that this is already a technical violation of endangered species law has done little to deter the practice, as it is rarely noticed by inspectors due to a lack of familiarity with coral taxonomy, and it will likely continue as a way to import species listed as Endangered Species. CITES has already addressed this issue for corals, and with a few exceptions requires only genus-level reporting. Exceptions are monotypic species, and those few with non-skeletal features or distinguishing enough to recognize in a practical manner (i.e Euphyllia, Catalaphyllia). If a country decides to list others not on this list to species, then USFWS has an obligation to hold that import to the higher taxonomic description (i.e species level). In summary, this action has only barely begun the long and difficult review process, with the most difficult obstacles still ahead. Any ban spawned from it would not go into effect until well into the future, it will not significantly change the import and inspection process, and half or less of the species being considered are even significant in the trade today. It will NOT result in the listing of all 82 species on the Endangered Species List and it will NOT end the coral trade. With hobbyists almost universally claiming to care about responsible trade and the continued health and survival of coral reefs, it’s astonishing to see the hypocrisy demonstrated any time regulation like this is proposed, no matter how justified or how minor the effect on the trade. The outrage drummed up by CORAL an PIJAC over even considering whether these corals need protection, and the backlash against the recent Rhyne et al paper which simply stated that current data on the Florida ornamental invertebrate fishery is insufficient to determine whether it’s sustainable (see Shrouding Opinion in Fact: Science Stampeding to Collapse) show the true colors of hobbyists and collectors. These recent articles and the discussions surrounding them have given the distinct impression that despite what we claim, hobbyists really don’t want to know whether the fishery we support is sustainable, and if there is data to support that it’s not sustainable, then we don’t want to regulate it anyway since that might cause prices to increase, availability to decrease, or even the outright ban of a handful of species. It’s a shame to see this attitude so prevalent in the hobby and an even greater shame to see it supported by CORAL and PIJAC. The hobby faces pushes for regulation from multiple fronts and the pressure will only continue to increase as reefs continue to decline. It has become laughably predictable that any and all proposed regulation which may impact the hobby in even the slightest way is immediately met with claims that it will end the hobby and must be stopped (e.g. Florida liverock ban, California Caulerpa ban, Hawaii’s FMRs and yellow tang bag limits, etc.). In no small bit of irony, the same logic that created the uproar about California’s Caulerpa ban is being recycled to argue that this regulation could end liverock imports (see Frag No More? Endangered Species Proposal Threatens Marine Aquaculture). As a result of this standard reaction we have positioned ourselves as an entirely self-interested group who is unwilling to consider evidence and cannot be reasoned with. This irrationality and circling of the wagons mentality will only serve to exclude us from the bargaining table in the inevitable event that truly sweeping regulation is proposed. As hobbyists we should do as we say and embrace data and responsible management of the fisheries we are a part of. We will be judged by our actions, not by our words. Submitted by jml on Sat, 04/17/2010 – 17:29. Contrary to Mr. Greenemeier’s assertion, CORAL is certainly not against regulation of the collection or trade in marine organisms that need protection. What we oppose is the mis-use of science to achieve political or personal ends. In the case of the petition by to list 82 species of stony corals as endangered, it is clear that the environmental group behind it simply swept up a large number of species and used the assertion that all shallow water coral reefs are threatened by multiple insults (global warming, deforestation, blast fishing, shoreline development, fishing); and, QED! : the cited species of corals living on these reefs must be threatened as well. But what of the myriad other species growing on the same reefs? The coral biologists we have talked to unanimously question the way in which this petition was drafted and several assert that the drafters have mis-represented research on Indo-Pacific reefs for advancing their own ends. 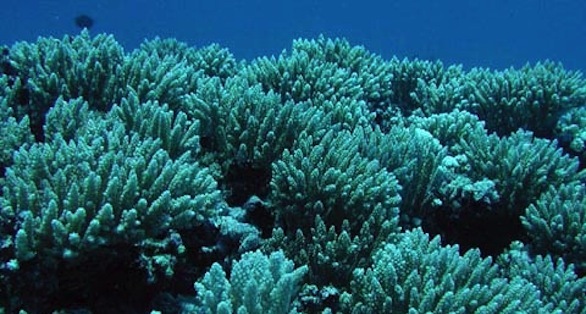 Their stated strategy is to use endangered corals as a leverage to force controls on carbon emissions. (Similar efforts involving the polar bear have been tried, without success.) Many of us would not disagree with their end goal, but must protest their disingenuous methods of getting there. Fisheries biologists who have studied the petition are not as cavalier as Mr. Greenemeier in saying, “What me worry?” about the chances of this ill-conceived petition moving forward. Lies that go unchallenged may be accepted as truths, and those who have spoken out against the petition deserve our respect for crying “Foul.” There is not a scintilla of evidence that any single coral in the group of 82 is any more endangered than any other stony coral on reefs where they are found, and to demand this helter-skelter list of 82 corals be given ESA protection is a political game and nothing else. Certainly, it would be unprecedented to list a large group of species in one fell swoop, but letting this mis-guided initiative gain momentum is not in the best interests of anyone, in our opinion. Killing this petition in an early stage will not only save millions of dollars but, more importantly, let NOAA, the Fish and Wildlife Service, and many others pay attention to real issues that truly merit attention. Similarly, the furor over the paper by Rhyne et al is an example of science being misused to create headlines. The Rhyne study looked at harvest records and found some species being harvested in increasing numbers. This part of Rhyne’s work is commendable and the trends are worthy of vigilance and further research. Period. This library work cannot, in good conscience and with respect for peer-reviewed science, be used to suggest that the invertebrate populations being collected are on the precipice of collapse. Simple fisheries biology math demands that one know the population of each species in question and its recruitment rate (how many new individuals are produced each year) before any determination of what level of harvest can be sustained. Many other factors come into play, but Rhyne has produced only half (or less) of the equation and still comes up with an imaginary answer. No one, even Mr. Rhyne, say “X minus 1 million = 0” unless you know what X is. People we consider to be honest, ethical and well-informed about this fishery in Florida (Nedimyer, Wittenrich, Young, Watson, Moe, and others) believe the Rhyne paper to be fatally flawed by drawing conclusions that are simply not supported by the data. This is not to say the Rhyne report should be completely dismissed and, in fact, we noted the falling collection numbers of Condylactis gigantea that was documented and immediately wondered if the species is being overcollected. Eric Borneman in his comments on the issue suggests it could be the case, and it’s certainly worth a serious look. As some ethical collectors themselves have urged, harvest quotas and bag limits for such species may well be a good idea. As for Caulerpa, CORAL routinely cautions its readers against the use of these species by hobbyists. Our partner website Microcosm Aquarium Explorer has worked hand-in-hand with the Southern California Caulerpa Action Team to warn people about the invasive potential of Caulerpa spp. We support the regulations that have been imposed on the trade and possession of this genus. Many others in the marine aquarium hobby have done the same, and to say that we have united as a hobby to oppose the bans on Caulerpa is simply a mistatement of fact. The bottom line is that most of us involved in CORAL have a long history of encouraging sustainability and reef stewardship in the marine aquarium trade and hobby. True sustainability is not a vague notion, it is scientifically measurable, and we believe in good science and good research to tell us which harvests are sustainable and appropriate and which are not.